This is a skill we can learn and practice. So much of the time we listen to respond. We learn to listen to what people are saying and respond with appropriate dialogue to tie together what they are saying and what our thoughts are. We want to add in our personal thoughts and feelings. We want to add in our experiences and what we think. Sometimes we listen to challenge, to argue, to one-up, to make our stories seem better, or crazier, or…. fill-in the blank _____er than the person speaking. This is one way to think about communication and how to interact with others. 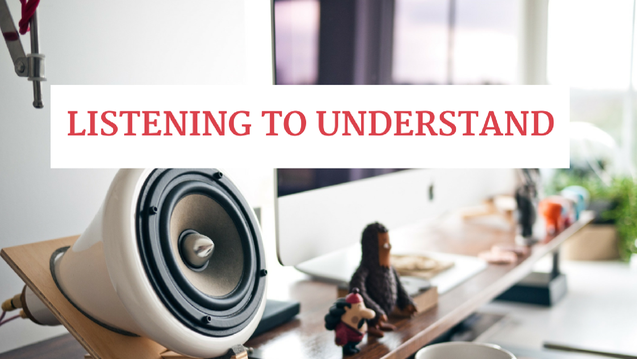 Listening to understand is when we stay quiet and we really hear what the other person is telling us. Don't try to make connections for yourself, but make connections for the other person. Ask them questions about what they said and respond in ways that further enhance what they are trying to say. When we truly listen, we don't have to agree or disagree with what the other person is saying. We just need to hear them out and understand their point of view. People want to know that you are there for them. That you are present and in the moment with them when they speak to you. They want to be able to express themselves and know that you are available to hear their ideas and feelings. When we can listen and really listen to each other, it provides validation and understanding among us. 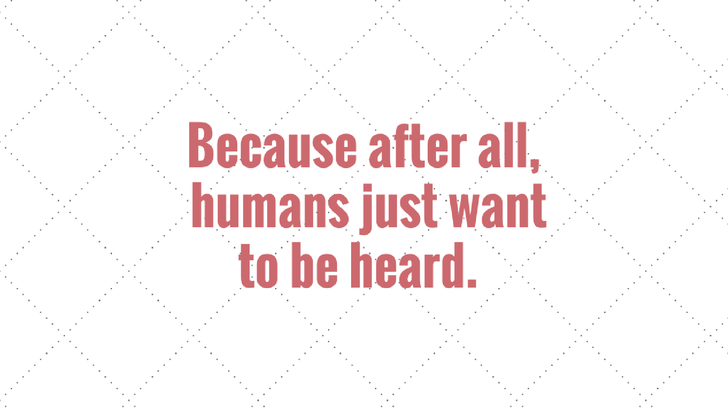 Because after all, humans just want to be heard.